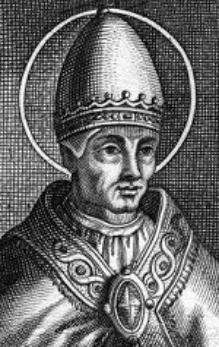 Pope Felix III (died 1 March 492) was Pope from 13 March 483 to his death in 492. 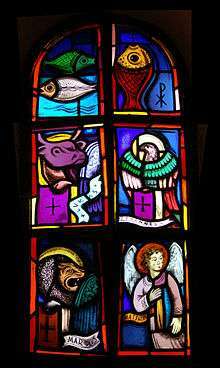 His repudiation of the Henoticon is considered the beginning of the Acacian schism. 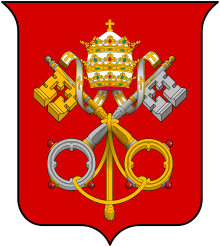 Felix was born into a Roman senatorial family and was a great-great-grandfather of Pope Gregory I. It is said that Felix appeared as an apparition to one of his descendants, his great-granddaughter Trasilla (an aunt of Pope Gregory I), and asked her to enter Heaven through death, and on the eve of Christmas Trasilla died, seeing Jesus Christ beckoning. His first act was to repudiate the Henoticon, a deed of union originating with Patriarch Acacius of Constantinople and published by Emperor Zeno with the view of allaying the strife between the Miaphysite Christians and Chalcedonian Christians. He also addressed a letter of remonstrance to Acacius. The latter proved refractory and sentence of deposition was passed against Acacius. In his first synod, Felix excommunicated Peter the Fuller, who had assumed the See of Antioch against papal wishes. In 484, Felix also excommunicated Peter Mongus, who had taken the See of Alexandria, an act that brought about a schism between East and West that was not healed until 519. ↑ Herbermann, Charles, ed. (1913). "Sts. Trasilla and Emiliana". Catholic Encyclopedia. New York: Robert Appleton Company. Friedrich Wilhelm Bautz (1990). "Felix II.". In Bautz, Friedrich Wilhelm. Biographisch-Bibliographisches Kirchenlexikon (BBKL) (in German). 2. Hamm: Bautz. col. 10. ISBN 3-88309-032-8. 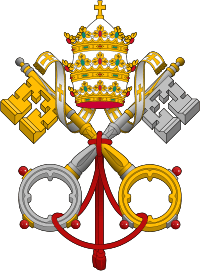 Wikimedia Commons has media related to Felix III.